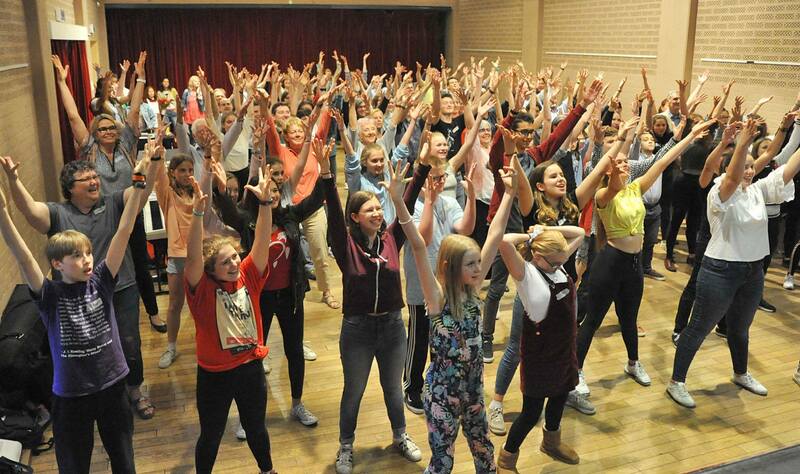 On Tuesday the 5th of June, barely having caught our breath after the final performance of Urinetown, BLOC members threw themselves back into the fray, with our introduction and chorus practice session for our November 2018 production, Oklahoma! Oklahoma tells the story of farm girl Laurey Williams and her courtship by two rival suitors, cowboy Curly McLain and the sinister and frightening farmhand Jud Fry. The original 1943 Broadway production was a box-office smash which later enjoyed award-winning revivals, national tours, foreign productions and an Academy Award-winning 1955 film adaptation. Our information evening was a crowded affair, with more than 120 people present! It looks like our auditions panel will have their work cut out for them. Audition material is available upon request by email to: blocoklahoma2018 @ gmail.com (remove spaces). Please let us know if you wish to see the chorus material, or specify which principle roles you wish to see.